Vitamin E is essential as an antioxidant and provides protection for the cells against free radical damage. 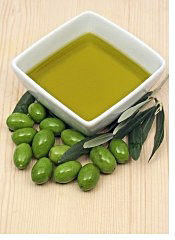 Its role is particularly important in protecting fats, cell membranes, DNA and enzymes against damage. This vitamin is crucial for the maintenance of a healthy immune system as it protects the thymus gland and circulating white blood cells. Glutathione helps maintain the E vitamin by recycling it. The recycling occurs after the E vitamin has neutralized a free radical by giving up an electron to the free radical. Glutathione in turn gives up an electron to the E vitamin, returning the E back to work in your system, thus the vitamin has been recycled and your immune health improved. The Institute of Medicine's recommended daily intake of the E vitamin from food stands at 15 mg. That's the equivalent of 22 IU from the natural source or 33 IU of the synthetic form. Recent research suggests that the more beneficial level of intake may be 200-400 IU a day, which is difficult to achieve from diet alone and requires supplementation. With adequate glutathione levels, it is unlikely that one needs more than 400 IU of the E vitamin a day. Food sources of vitamin E are: natural vegetable oils - olive and sunflower oils; almonds, sunflower seeds, peanut butter, avocado, olives. For the complete list of foods and Vitamin E content in them click here. Consuming more than 1,000 mg (1,500 IU in natural form and 1,100 IU in synthetic form) a day is considered unsafe and can provoke gastrointestinal, cardiovascular and neurological side-effects.